Like aquatint, mezzotint is another tonal process. It is technically a drypoint method, where the engraver works the design from a black ground to the highlights, not from a white ground to the black lines or shadows. By roughening, using a rocker, and scraping, which removes the burr, the velvety quality of the image is formed. Noticeably, much less impressions are made from mezzotint than other image-making processes. While there were many European exponents, it was also popular in England, becoming known as la manière anglaise. One English master was Charles Turner (1774-1857), who specialized in portraiture. Here he has worked his magic to form a frontispiece of ‘Mrs Siddons’ after a painting by Sir Thomas Lawrence. 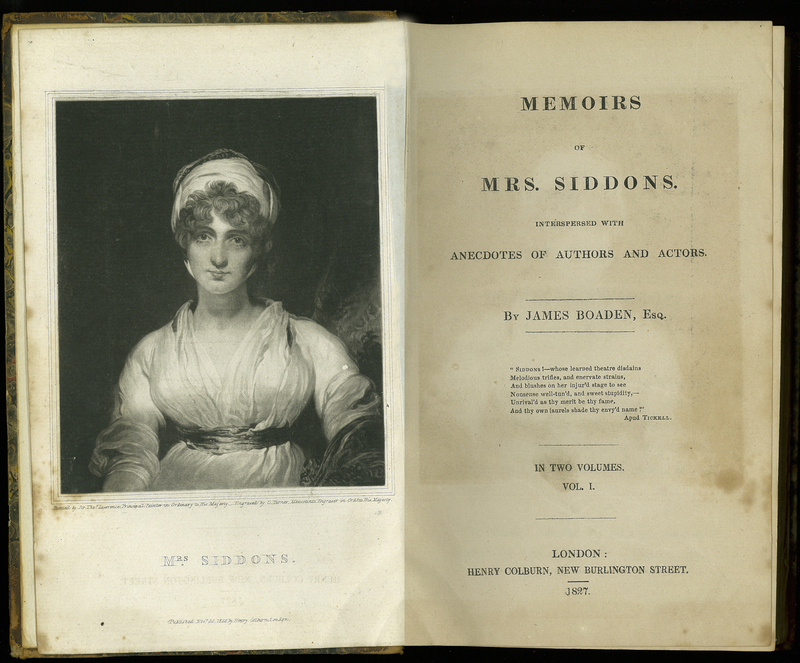 James Boaden, “Memoirs of Mrs. Siddons,” ourheritage.ac.nz | OUR Heritage, accessed April 24, 2019, http://ourheritage.ac.nz/items/show/10668.